Evonik unveiled TAeTTOOz®, a new material technology for printable batteries, at LOPEC 2019. TAeTTOOz has been developed on the basis of what are known as redox polymers by Creavis, the strategic innovation unit of Evonik. 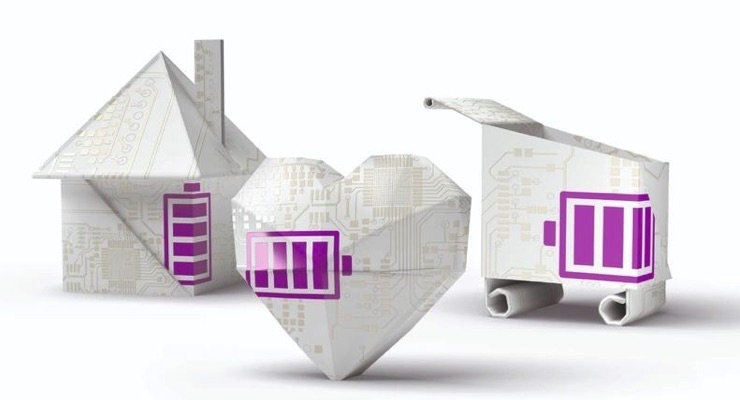 The new materials can be processed by conventional printing methods into very thin, flexible battery cells, thus giving the developer a high degree of design freedom. They allow storage of electrical energy without the need for metals or metal compounds. Battery cells produced with the TAeTTOOz technology do not require liquid electrolytes and therefore cannot leak. Creavis is now seeking development partners to integrate the TAeTTOOz technology into new and existing applications. The TAeTTOOz technology opens up new possibilities particularly in the spreading networking of everyday objects, the Internet of Things. Medical sensors for monitoring vital functions could be worn far more conveniently when printed batteries are used. In the area of logistics, intelligent sensors operated by printed batteries in packaging could monitor sensitive goods such as food or vaccines.